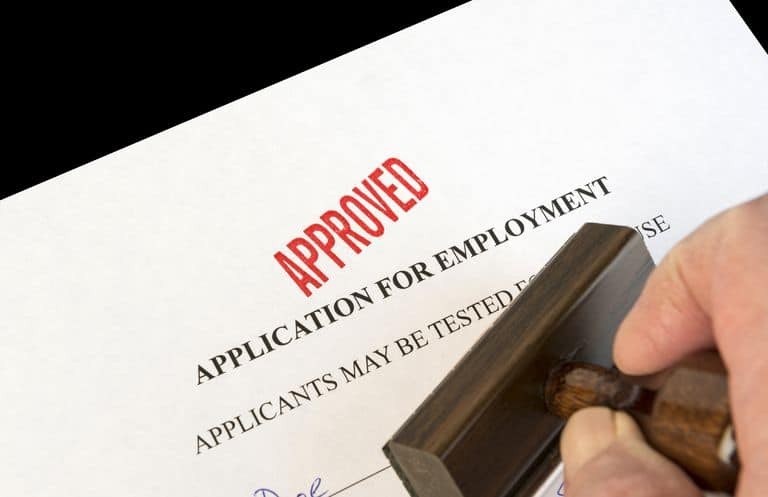 Today, we revisit the gap between deciding to apply and walking into your first day on the job. I’m going to teach you a mindset paradigm change in how you look at getting your best job. Unfortunately, what you’re likely to do is go for a new job because your pissed off with the old job. You think if you get a new job, you’ll get more money, buy more stuff, get higher status and you’ll feel better. If you think that way, you’re destined for failure. Getting the best job in the world starts NOW, months and years before you actually NEED it. There are two steps to this. What you do now and what you do when you want to move. You’re talking to a friend over coffee and your friend mentions that there’s an opening in their workplace for someone new. You friend asks you about what you’re doing and you tell her. Next she ask if you like what you’re doing and you tell her like all jobs there are a few things that are a bit ordinary but generally your job is great. You love it. The people are lovely, the work’s interesting, creative and stimulating, the money’s good and you have a great boss. Next your friend tell you about the new opening her workplace. It sounds really interesting, so in the next few days you talk to others in this new organisation and it sounds fantastic. You apply, go through the interview and within 2 weeks your there. What you find is the job is even better than described. What happened? You got excited and it was a breeze. It seemed like the easiest process you’ve ever gone through. The keyword is easy. Getting your dream job is easy. Even before you want to leave, you starts now. I don’t care who you are or what you do, you can always talk to people and network. Talking to people gives you ideas where you could work and helps you define your passions. When you talk to people, find people who are positive about their life and what they are doing. Stay away from negative nellies and pump up what you’re doing now to be a great job, even if it isn’t the best. Your next job may not be in the field you’re in now. Talk to people who are in different industries. Ask them what’s great about their industry and what they do. If you ask intelligent questions you’ll get great answers. Hop onto employment websites and look what’s there. If something looks interesting, research it. Don’t know what questions to ask? Talk to someone to get ideas. There are a number of things to consider. They are all about your attitude and mindset. You’ve got to find a way to get in front of all the other players, but without them becoming competition. I’m a psychic and I know there are other psychic around, I teach people to become psychics. I have never looked at my students or anyone else as competition. If I do that, I’m working for the wrong reasons. You get in front of the other players by being audacious and taking action. If you’re not ready to put yourself out there a little and take a risk or two, you won’t get the job you want. You’re application is short and to the point, with out too many character building adjectives. Depending on the job, you application should only take an hour or so to write. If you’re writing an application that takes five days to write, that job is not yours. You’re overthinking it and you’re going for it for the wrong reasons. Expect the people who are asking for applicants to want someone who is different. Every business wants to change its culture, chances are they want you to be the start of that change. If they don’t, that job is not for you. Never try to match their culture, be yourself, be special, be authentic. Don’t lose your power, Be ready to pull out of the process at any time. The Universe works in mysterious ways. Employers have stories and try different tricks to get you as cheaply as they can. If a someone reneges on a key thing that was really important to you, get to work and negotiate other conditions. Have a secret list of ‘must have’ things, and another list of negotiable things. I have a friend and client who was offered a super job with a company most would want to work in. Everything went fine until the guy who was wining and dining her — new boss — ’told’ her to sign her contract asap. He got angry when she questioned him on that. It was a deal breaker, she walked away. Getting your dream job is easy especially if you’re ready to walk away from a prospective job. If your new job doesn’t meet your needs and you walk away, that’s a very empowering thing to do. It’ll give you confidence next time around especially if the next employer hears about it. Confident people get great gigs. When you’re talking about the job in an interview or after the interview, act as if it’s yours. Use ‘we can’ or ‘we will’ and not “I would …..” (that reeks of ego). Ask what the challenges and problems are, and if they have a solution. They probably won’t have answers because that’s what they want you to do. Always ask intelligent, searching questions. While you’re in the interview remember, you’re are interviewing them just as they are interview you. It’s a discussion. You’re not there to catch them out, you’re there to see if the job is really you. Be ready to pull out at any time. Be honest. If you’re uncomfortable about something, say so. If you’ve popped a couple of questions and they aren’t answered and you smell a rat. Tell them you’re not confident in them. If they don’t know what they want, you’re in trouble. Unless that’s what you want. You may want that, because you’re going to be the one to fix it all for them. After you’ve had your interview walk out with confidence. If you think it didn’t go well and they tell you that the job is not yours, it’s because you sabotaged it yourself and that’s a good thing. Walk out feeling confident and go about you’re business. If you feel the job is really you, do more. Wait three or four days, call up the contact or person in charge and ask if he/she would like to have a coffee. That person will ask why? Give him or her a reason. You’ve thought about a couple of things that would like help their business. You’ve solved a challenge that you talked about in the interview and you’d like to chat more about it. Be the problem solver and alway use “We” not “I”. Assume that the job is yours and you’re working in that business. That’s how you get your special job. It’s not rocket science. You are confident, you love what you do and you love to solve problems. Most of all it’s easy.